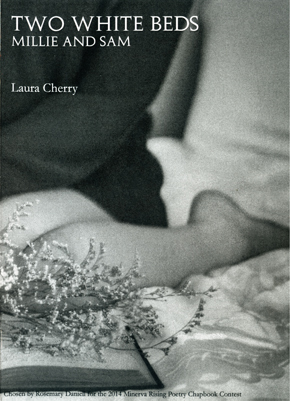 At once caffeinated and considered, razor-sharp smart and unsentimentally sweet, Laura Cherry navigates urban landscapes, child-bearing, stories of childhood and modest beginnings, finding resonance and beguiling surprises in the rhythms of ordinary life. Laura Cherry lives near Boston, where she works as a technical writer. She holds an MFA in Writing from Warren Wilson College. 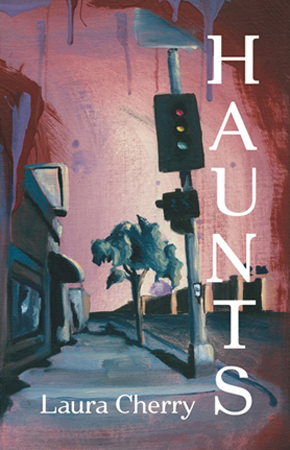 Laura's latest chapbook, Two White Beds, is available from Minerva Rising Press, and her first full-length collection of poetry, Haunts, is available from Cooper Dillon Books. Laura's chapbook, What We Planted, was awarded the 2002 Philbrick Poetry Award by the Providence Athenaeum. 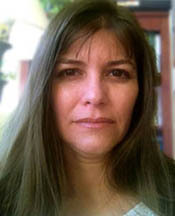 She is co-editor of the anthology Poem, Revised (Marion Street Press). Her work has been published in numerous journals, including Tuesday: An Art Project, The Vocabula Review, H_NGM_N, Newport Review, Los Angeles Review, and Naugatuck River Review. It has also appeared in the anthologies Present Tense (Calyx Press), Vocabula Bound (Vocabula Books), and Letters from the World (Red Hen Press). in their midst, for the sake of mess. the brightest spot in that pale room. I looked again, and I flushed too. Every turn is a surprise in this funny, wicked smart, tightly-crafted book. to hail a cab without causing a scene. demanding retribution, calling for my head.